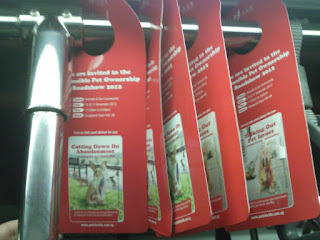 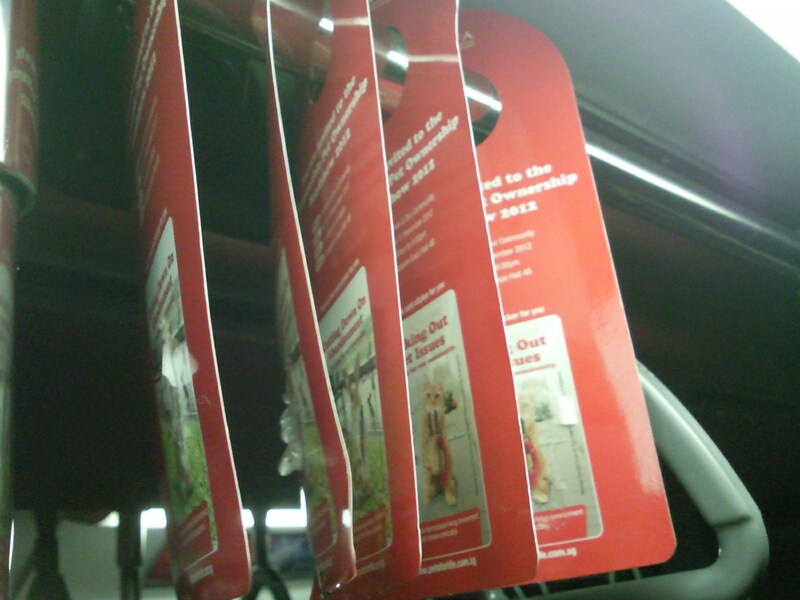 "Have you seen AVA's Responsible Pet Ownership hangers in buses and trains? 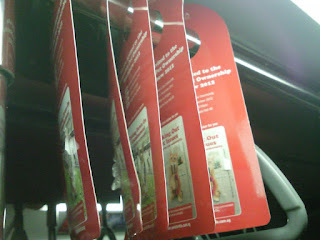 If you haven’t, you may just want to keep a lookout for them. 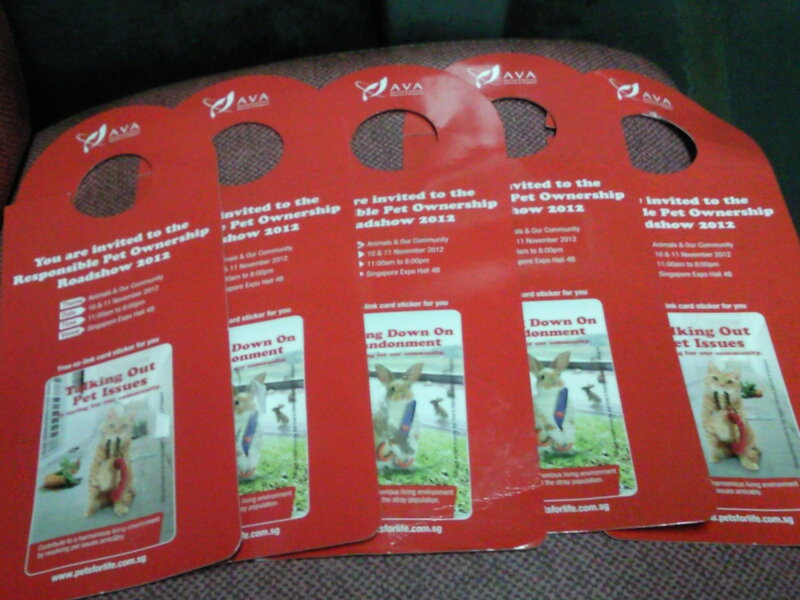 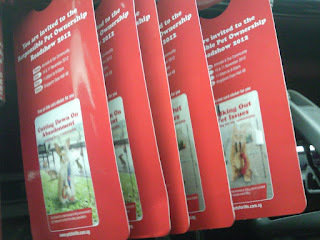 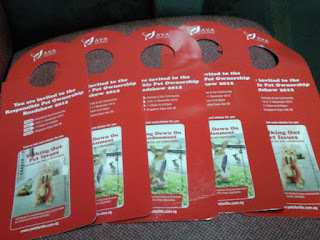 Not only do these hangers contain details of AVA upcoming Responsible Pet Ownership Roadshow this November, but they also come with an attractive EZ-link card sticker! 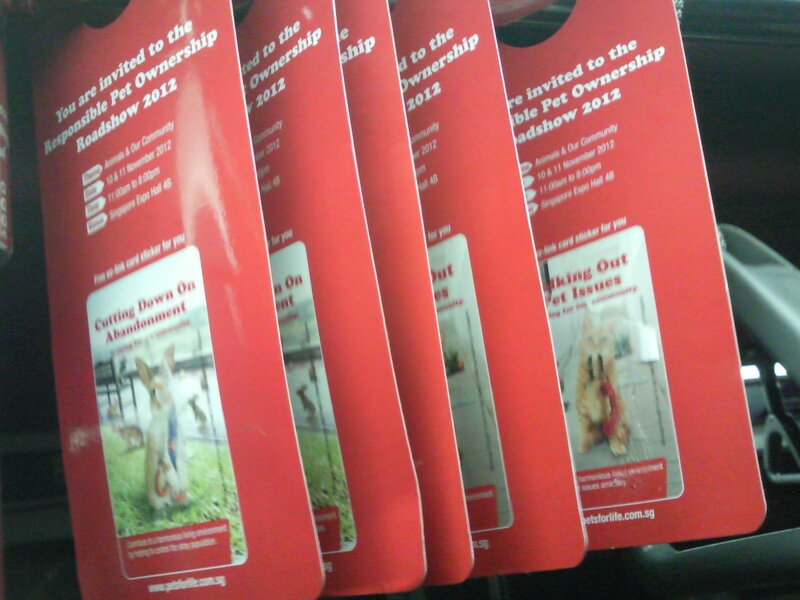 So go grab one now!"